Ten reasons why Skyfall is the best Bond movie. Spoilers abound, naturally. You have been warned. It became clear to me very quickly whilst watching Casino Royale that Daniel Craig would make a very good Bond indeed. By the end of the opening credits I was convinced. He even redeemed Quantum of Solace (though more of than in another post). Normally in a Bond film we meet our hero in mid-adventure, risking life & limb for Queen & country. But, he always gets away with it. This time it’s equally thrilling, with car chases followed by bike chases followed by derring-do atop a speeding train. Bond will surely retrieve the disc, won’t he? 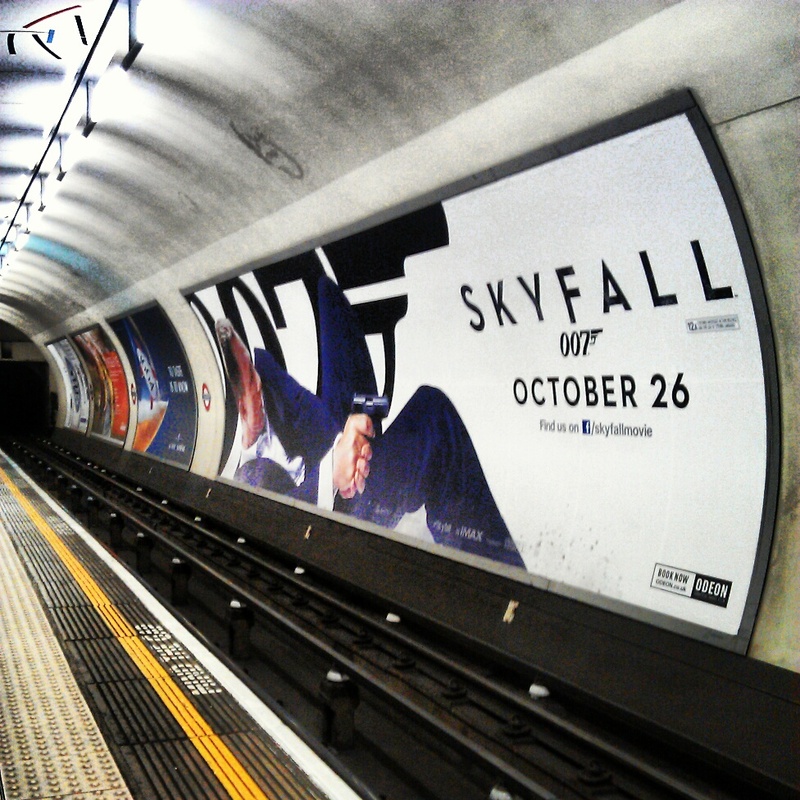 Skyfall looks amazing. Roger Deakins does a wonderful job throughout a largely UK-centric film. From the grim, rain-soaked streets of London to the neon-lit skyscrapers of Shanghai and the highlands of Scotland, the locations of a Bond film have never looked better. Bond is a character who says little, preferring action over chit-chat. There are some wonderful lines though, from Q’s “What did you expect, an exploding pen? We don’t really go in for that sort of thing any more,” to Bond’s “What makes you think this is my first time?”. Silva’s entrance speech is also mesmerising, a long, oh-so-slow walk up to Bond, reminiscent of Lawrence of Arabia (with just a hint of Tim Curry’s memorable entrance in Rocky Horror), monologuing all the way, as all good villains do. Oh, the Aston Martin DB5. Complete with ejector seat. I need say no more. Oh, Dame Judi. How we adore thee. Much as Daniel has done with making Bond his own, you’ve done the same with M, but for longer. Bond is nothing without the ladies, and doubly so in your case. The supreme matriarch figure, taking no crap from anyone. We shall miss you. One of the best Bond villains we’ve seen for a long while. Silva is cunning, clever and ruthless. And by golly does he monologue well. And the only Bond villain to actually get what he wants. Stick that in your pipe & smoke it, Blofeld. There’s the theme tune. After Casino Royale’s “You Know My Name” by Chris Cornell (which I still rate as a decent Bond tune, though realise that I’m firmly in the minority here) and Quantum of Solace’s theme, which I really dislike with a passion, we get a full-blown Oscar-winning Bassey-esque belter, courtesy of Adele. No, not the Silva/M ending. Though that in and of itself is quite splendid. The big reset, a clearing of the decks. We’ve got our new, proper Bond, and we have a new M to run the show. And a new, more capable, Moneypenny, not to mention Q. This feels like a new beginning. I, for one, can’t wait to see where they’ll take us next. So. There you have it. My ten reasons why Skyfall is the best Bond movie. Do you agree or disagree? Agree in all counts especially Dame Judi and THE one and only DB5. All other Bonds, bar Sean and George, have been too suave IMHO. The fingers down the throat gesture springs to mind. Mr Craig, however, brings back the rough beef so to speak. A spot on list. Agree with all of them. Ah, I never said it was a complete list… I’m sure I could come up with another ten! 1. MI6 plugged a seemingly legendary cyber-hacker’s laptop into their network and were surprised when something nasty happened – basically doing the opposite to common sense. 2. When escaping the house on the dark moor at the end, they would have been nearly invisible if they hadn’t decided to light themselves up with a torch. Otherwise, I really enjoyed the film though. Both excellent points. I’m working up my ‘ten things about Skyfall which could have been better’ list. First one is on there! Aside from large lumps of plot making no sense whatsoever, Skyfall is a smorgasbord of Bond goodness. I was genuinely shocked by the sniper shot at the beginning, and I think that bewilderment is what allowed the rest of the film to pass by without my critical faculties re-engaging. I got to the end thinking I’d watched the greatest Bond film ever, it was only going back over it in my mind that the cracks started to show. Even now, I’m not really sure I care about them all that much. For my money, you’re right about everything bar the theme song. I can’t bear it. The graceless mispronunciation of every damn word, by a Bassey-wannabe who is never going to quite do it justice. No thanks. You can keep your sky foal, and your crumb bowl, love. I’m working on a ‘ten reasons where Skyfall falls short’ (must come up with better pun) and the plot holes are one of them. Silva’s mission to kill M seems remarkably convoluted, given 007’s ability to waltz into her house (and drink her booze) whenever he feels like it. I’m still working on my ‘ten things which Skyfall fell short on’ post. 🙂 Plot is in there!